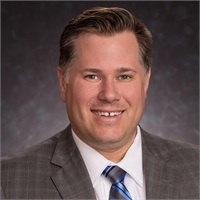 Jason Swartley recently joined the team at Centra Financial Group and brings over 20 years of business experience with him to help business owners and individuals reach their financial goals. Since 2009, Jason has been an adviser in the Financial Services as well as a business owner. Before that he owned and operated business’s in the agricultural and transportation industries. He currently focuses on financial strategies for business owners, families and individuals in the areas of business continuation planning, employee benefits, estate planning and retirement planning. Jason and his wife Luisa have two daughters Bella and Olivia. They currently reside in the Finger Lakes where Jason grew up and ran his family businesses. Jason enjoys networking, volunteering, spending time with his family and friends, fitness, cooking and many outdoor adventures.